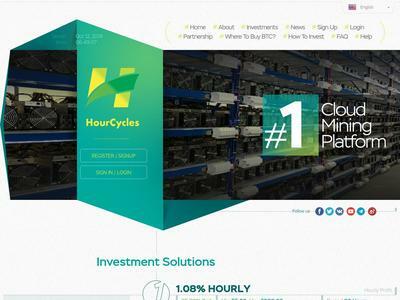 HourCycles project is a product of careful preparation and fruitful work of experts in the field of Cryptocurrency mining, highly profitable trade in cryptocurrencies and online marketing. Using modern methods of doing business and a personal approach to each client, we offer a unique investment model to people who want to use Cryptos not only as a method of payment, but also as a reliable source of stable income. The amount of 5 USD has been withdrawn from your account. Accounts: U4222871->U15550238. Memo: Shopping Cart Payment. Deposit to hourcycles.com User nelomota.. Date: 11:18 12.10.18. Batch: 231898005. The amount of 0.27 USD has been deposited to your account. Accounts: U15550238->U4222871. Memo: API Payment. Withdraw to nelomota from hourcycles.com.. Date: 16:38 12.10.18. Batch: 231935539. Memo : Shopping Cart Payment. Deposit to hourcycles.com . The amount of 3.46 USD has been deposited to your account. Memo: API Payment. Withdraw to naale from hourcycles.com.. Memo : API Payment. Withdraw from hourcycles.com. The amount of 0.91 USD has been deposited to your account. Accounts: U15550238->U4222871. Memo: API Payment. Withdraw to nelomota from hourcycles.com.. Date: 09:27 13.10.18. Batch: 232001853. The amount of 2.59 USD has been deposited to your account. Accounts: U15550238->U1606***. Memo: API Payment. Withdraw to Guten from hourcycles.com.. Date: 18:01 13.10.18. Batch: 232046970.